Several US robo-advisers downed tools earlier this month as the mini market meltdown over-stretched their digital abilities, reports have revealed. According to the US Financial Planning website, a clutch of well-known robo-advice platforms – including Fidelity, TD Ameritrade, T Rowe Price, Vanguard, Charles Schwab, Betterment and Wealthfront – “went dark” after plunging equity markets early in February triggered a client stampede online. The robo-go-slow in the wake of the early February market sell-off was a “possible early warning sign that even relatively new digital platforms can get overwhelmed dealing with high visitor volumes during selloffs”, the Financial Planning article says. While markets have since recovered much of the losses, the 4.6 per cent drop in the Dow Jones on February 5 – billed as the single-largest one-day point fall ever for the index – reintroduced volatility into the investor vernacular after years of relative calm. The multi-platform delays were attributed to unprecedented volume of users rather than fundamental back-office breakdowns or hacks, Financial Planning says. 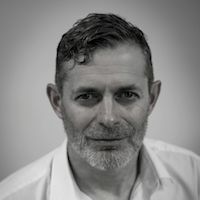 Myles Allan, founder of Auckland-based consultancy firm Mosaic Financial Services Infrastructure, said the recent US experience served as a wake-up call for providers mulling the launch of digital advice services for the NZ market. He said KiwiSaver providers experienced a similar system shock in the early years of the regime following “unanticipated demand”. “The early success of KiwiSaver took some by surprise with a few operational consequences that were unforeseen and untested for,” Allan said. NZ’s first robo-advice offerings are expected to go live as early as March under a Financial Markets Authority (FMA) exemption currently in i-dotting and t-crossing phase. In a Mosaic white paper released last December, Allan says: “The diverse bunch of [digital advice] providers – ranging from clever start-ups to financial advisory firms to status quo institutions – set to enter the NZ market on the back of the FMA exemption need to carefully consider their strategies. The Mosaic paper suggests ‘hybrid’ human-robo advice solutions would likely emerge as the dominant model.